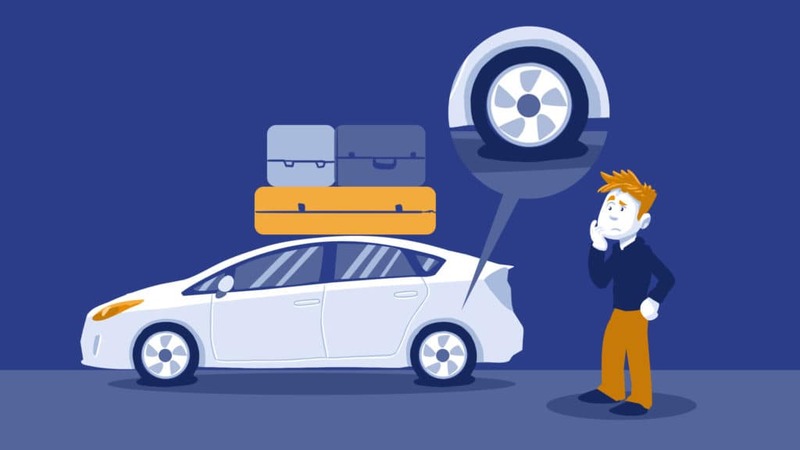 Tires are literally your only connection to whatever road you travel, so it goes without saying that they are critically important to your vehicle’s performance, fuel economy, ride quality, and safety. 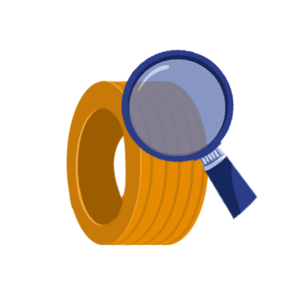 While tire wear represents a long-term concern, usually wearing out in 25,000 to 50,000 miles, tire pressure is a more immediate concern, fluctuating day by day. Because tire pressure is so critical to the operation of the tire and the safety of the vehicle it supports, the TREAD Act (Transportation Recall Enhancement, Accountability and Documentation Act) was enacted to bring tire pressure front and center in the minds of drivers across the country. While TREAD mandates the installation of TPMS (tire pressure monitoring system) in all passenger vehicles produced since September 1, 2007, it was not the sole deciding factor for TPMS implementation in automobiles. In fact, the first TPMS systems were introduced in luxury cars as far back as 1986, in the Porsche 959. Later, Peugeot, Citroen, Renault, and General Motors would follow suit, but only in limited numbers and often as optional equipment. In the late 1990s, Firestone tire-recalls and a string of deaths related to SUV-rollover crashes would highlight the need for proper tire pressure and tire pressure monitoring, thus the TREAD Act, which passed US Congress in less than a day. There are two tire pressure monitoring systems in use, depending on year, make, and model. Direct TPMS uses sensors in each wheel to directly measure tire pressure at any given moment, while indirect TPMS uses the wheel speed sensors to comparatively determine pressure changes as the vehicle is in motion. Direct TPMS is more precise, can deliver direct tire pressure readings to the driver, and has been the go-to technology for several years. Older indirect TPMS were not very precise and were unable to detect if more than one wheel was lower than the others, but newer systems are more sensitive. Some automakers are taking advantage of the new indirect TPMS because it is cheaper to implement and maintain than direct TPMS sensors, which can break, die, or corrode. Aftermarket TPMS is available for any vehicle, RVs, buses, and tractor-trailers, though it isn’t mandated by law – still, in the interest of safety and fuel economy, many of these companies are installing TPMS on their fleets. Safety – An underinflated tire is more prone to a tire blowout, which can cause you to lose control of your vehicle. Additionally, underinflated tires don’t deliver traction while cornering, which can also lead to loss of vehicle control. Underinflated tires account for tens of thousands of crashes every year and over six hundred fatalities in the United States. Efficiency – Each year consumers in the USA alone consume close to 150 Billion gallons of fuel. It’s estimated that underinflated tires waste about two billion gallons of fuel each year, enough to power the United States’ automobile fleet for five days! On a personal level, this might translate to a few hundred dollars in fuel every year. 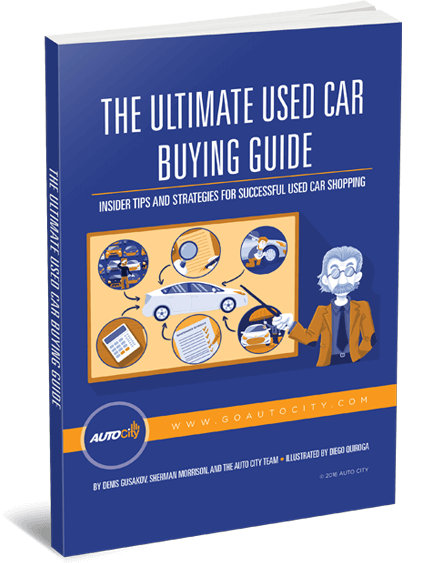 Fleet operators could save tens of thousands per year. Longevity – Underinflated tires will wear unevenly, affecting ride quality and increasing the risk of a tire blowout. Also, underinflated tires wear out faster, which means you’ll replace them more often. You might get less than half the use out of a tire that isn’t inflated properly. Ride – Proper tire pressure is an important part of your vehicle’s steering and suspension. Whereas the shock absorbers absorb big bumps, tire pressure absorbs small ones and smooths out your ride. As tire pressure decreases, your ride gets softer, but also less certain, as the tires lose their directional stability. There’s no doubt TPMS is good to have, but it has its limitations. 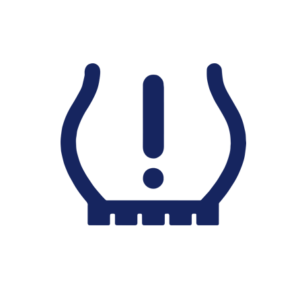 Provisions in the TREAD Act require TPMS to warn drivers when tire pressure drops 25%, when traction suffers and the danger of tire blowout heightens. 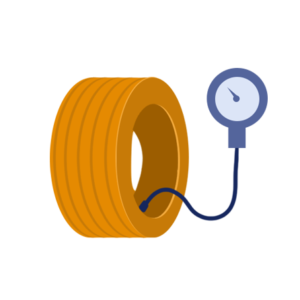 On a vehicle with tire pressure requirements of 30 psi, a 7.5-psi drop brings the tire to 22.5 psi, not nearly sensitive enough to prevent the other problems associated with tire underinflation, such as accelerated wear, loss of traction, and vehicle instability. Some vehicles display real-time tire pressure readings, but most are limited to a simple TPMS warning light or message. Before you’re driving for the day, at after the vehicle has sat for at least three hours, use a tire pressure gauge to measure each tire. Compare this reading to the specification in the owner’s manual or the Tire & Loading sticker on the driver’s door jamb. If the tire pressure is too high or too low, adjust as needed. Use the opposite end of the tire pressure gauge to release excess pressure. Use a tire inflator to add pressure. Be sure to replace the valve stem caps to prevent dirt from getting into the valve and causing a leak. Beside the fact the TPMS is now mandatory on passenger vehicles produced after September 1, 2007, all vehicles and drivers can benefit from the technology, no matter what vintage or type. Please see our service department and make sure that your tires pressure is set at correct levels!